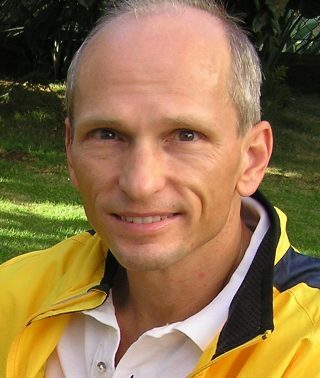 Dr. John R. Smith is an Oceanographer at the University Hawaii in the School of Ocean and Earth Science & Technology where he primarily carries out data processing and research. He has used various acoustical and in situ methods to study the seafloor and sub-seafloor in many of the world’s oceans, specializing in multibeam bathymetry and backscatter data collection, processing, and interpretation. His research projects have focused on the mapping of seamounts and the unstable flanks of oceanic islands that can fail and cause tsunamis. Dr. Smith has also become involved in deep and shallow-water benthic habitat mapping in support of fisheries assessment and management, along with other special applied research projects such as environmental and engineering studies prior to seafloor mining, the laying of under water power cables, and seawater A/C pipelines. As more areas of the high seas have been set aside as marine national monuments or other protected area designations, he has focused on projects in these regions, providing critical baseline and other data to accelerate discovery, delineate features for more targeted study, and assist with resource management. John received his Bachelor of Science degree in Geological Oceanography from Florida Tech, worked in the offshore petroleum exploration survey industry for several years in the Gulf of Mexico and Caribbean, and then returned to graduate school at the University of Hawaii at Manoa for his Masters and Doctoral degrees, both in Geological Oceanography as well. He took a position with Hawaii Undersea Research Laboratory, where he served as the lab’s Marine Geophysical Specialist, managing the sea floor mapping program. Later, he became the Science Program Director, administering all aspects of the scientific. This will be John’s fourth cruise on Falkor, his highest latitude expedition ever, and he’s glad it occurs during the northern hemisphere summer!